Cross and Cutlass: Christopher Columbus - Man of Science or Prophet? 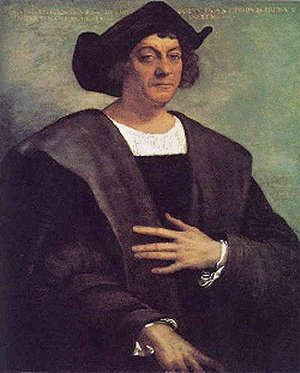 Christopher Columbus - Man of Science or Prophet? Of course we all remember learning about Christopher Columbus in school, the expert navigator and sailor who founded the New World. We envision him as a kind of dare-devil, hard-headed navigator, a man ahead of his times. But did you know that ole Chris was also deeply religious and very interested in apocalyptic prophesies? In fact, the entire reason for his journey across the sea was not just to find a pathway to India and China, nor was it simply to acquire gold for Spain. No Columbus had a Biblical reason for his journey. He believed it was his destiny to find the new land and acquire gold to wage a holy war against the Muslims inhabiting Jerusalem and to win back the Holy City before Christ's return, thus ushering in the millennial age. He believe his discovery of the New World was necessary to fulfill an ancient prophecy. He wrote of America in 1500 AD: "God made me the messenger of the new heaven and the new earth of which he spoke in the Apocalypse of St John after having spoken of it through the mouth of Isaiah; and he showed me the spot where to find it." Christopher Columbus was an avid student of Biblical prophecy. He studied them very carefully and put together his own book entitled Book of Prophecies, which he used to sell his voyage to Ferdinand and Isabella of Spain. This book is a compilation of an entire range of prophecies from both the Old and New Testaments as well as more modern prophesies of the day. He particularly liked one of the prophecies from the early 14th century which said that there would be a final world emperor, a Spanish ruler who would conquer Jerusalem. The gold Columbus would find in the West Indies was to be used to mount the military expeditions that would reconquer Jerusalem and issue in a universal messianic rule in which Christianity would triumph under the leadership of a Spanish monarch. The Garden of Eden must be found. It was thought to be hidden atop some mountain where it had been safe from Noah's flood. 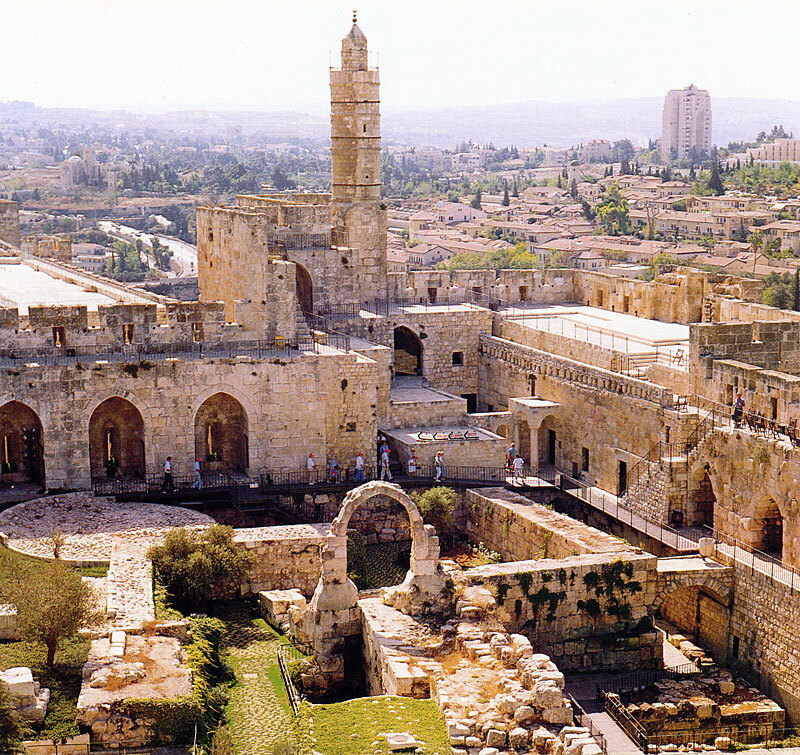 A Last Crusade must take back the Holy Land from the Muslims - It was also believed that when Christ comes, he will come back in the place he lived and died; Jerusalem. A Last World Emperor must be chosen - Columbus had chosen, at least in his mind, that the Catholic Monarchs, Ferdinand and Isabella, would fulfill this position due to the vast imperial power and religious conviction the Spanish monarchs claimed. A last world emperor would be necessary to lead the aforementioned crusade against the Muslims and to greet Christ at Jerusalem once the previous steps had been completed. As we all know Columbus died without seeing any of his prophecies come to fruition. Well ... another piece of History shared with us, I just love it ! Never knew this about Christopher Columbus, being an 'avid student of Biblical prophecy' ... helps me to visualize him in a whole new light (other than simply an explorer). Thanks so much for sharing this info with us. Thanks Ladies! I knew he was religious.. I just didn't realize he was so into Biblical prophecy and the end of the age.. and the return of Jesus. Really interesting. I also didn't know that those beliefs were what caused him to sail West! Love this kind of stuff! They've taken so much history (besides plain Christian ethics out of school) I got into trouble with my high school principal once when they wanted all of us to put up the "Rules of Diversity" in our classrooms (this was in the '90's) and I wanted to keep up the Ten Commandments. I was able to convince them that it was legal for me to do so; I'd called the American Center for Law & Justice; and if they pressed the issue, I had a raft (maybe a shipload in this case :) of lawyers that could back me. They didn't bring it up again! :) The ACLJ assured me they were ready to help out if they were needed! Anyway, how close Columbus was to prophesying some end times things. (Maybe the ark on the Mt.?) And the world might come down on Israel....or the Muslims = Middle East? And an earthly global monarch--(but not Christian) before Christ's appearance. Thanks for the interesting posts, MaryLu! I did not however, know the earth was round, in opposition to his ignorant contemporaaries. That was a myth invented by Washington Irving for his novel on the basis of falsified evidence. In fact, the evidence shows that practically everyone in Medieval and early Modern Europe knew the earth was round. There a references to a round earth in writings from the 5th century onwards, it was referred to as a well known fact in the works of philosophers like Aquinas, and was portrayed in art. The orbs, which was part of the English crown jewels, and that of several other European states, represented the authority of Christ over the earth, and was constructed of a golden globe surmounted with a cross.